The AT-OS instruments washer disinfector has been developed to meet hygiene standards: ISO Standard EN-ISO 15883-1/2. As a result of using the highest technologies, the AWD655 are developed to satisfy all kinds of medical requests and over different models, suitable for the huge variety of instruments found in hospital departments, clinics, surgical and central sterilization rooms. 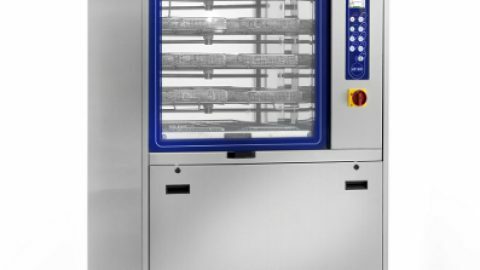 The large choice of washing baskets allows the washing, disinfection and drying of the most sophisticated instruments, such as the tubular ones. Let’s have a closer look to the main high tech features of the series (where available). Built-in condenser to eliminate the exceeding steam coming out from the washing chamber with drain. ESS System using the heat of the condenser in order to ease air warming during the drying and the water warming during the loading. This guarantees an energy saving. All instrument are perfectly dried inside and outside at the end of the cycle. Drying time and temperature are also adjustable from the front control panel. Optimization of energy consumption by using steam supply to heat water for thermal disinfection up to 95°C. In case of steam failure, electric heating will be activated. Dosing pumps complete with flowmeters and sensors. Door lock to restrict access to authorized personnel only. – Removable bottom detergent tray for easy cleaning. The unit is available as a single door or a pass-through design. Graphic flat screen displays all parameters of the cycle, all alarms messages and the user manual. Pass-through design has flat screen display on both sides. The machine recognizes which trolley was inserted and starts the corresponding program, eliminating the possibility of an error by the user. The number of programs can be customized changing different parameters. The user can select a specific program following his needs. The machine has an automatic control system of the spray arms, which stops the cycle in case of anomalies. The continuous monitoring of the water pressure and of all washing parameters insures the validation of the cycle. The operator can open and close the door by pushing the foot pedal or activating the optical sensor on the touch panel. 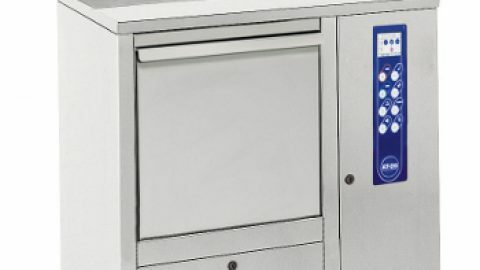 The user can start the machine without removing his gloves by pushing the buttons with the elbow. This feature also supports the cross infection prevention. Bedpan washer disinfectors: High-tech features of the AF2 Professional line. Sluice room: how should medical devices be washed to eliminate Clostridium difficile? New 7’’ color touch screen monitor for the AWD655-15: a closer look. New 7’’ color touch screen monitor for the AWD655-15: a closer look.Bedpan washer disinfectors: High-tech features of the AF2 Professional line. 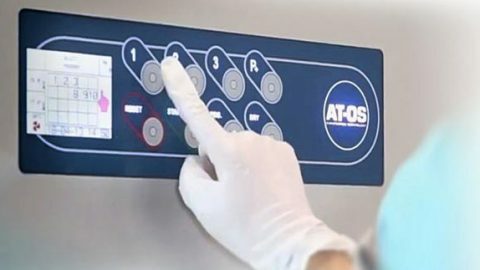 AT-OS is a worldwide designer, developer, manufacturer and marketer of washing and disinfecting machines for medical devices, stainless steel furniture for operating rooms and CSSD (sterilization department). 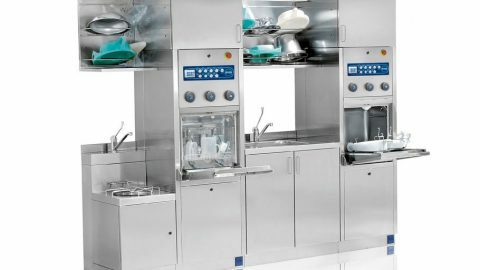 Based in Verona, Italy, AT-OS provides hospitals, retirement houses, private clinics, dental clinics, and pharmaceutical industries, with top notch products such as Instrument washer-disinfectors, Bedpan washer-disinfectors, dry storage cabinets for endoscopes, and furniture for central sterile departements. Our experience in the medical sector and our trained staff guarantee a professional service and total client satisfaction.